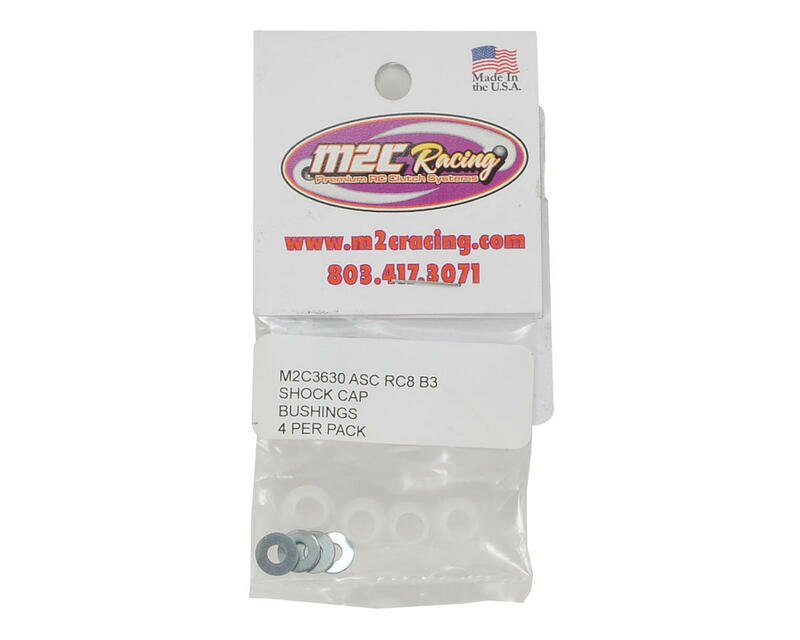 M2C Racing Associated RC8B3 Delrin Shock Cap Bushings are machined from quality Delrin material and will resist wear much longer than the stock injected plastic. The tolerances of these bushings create a light press fit on installation, and a snug fit on the pivot stud to help increase the life of the shock cap mount as well. 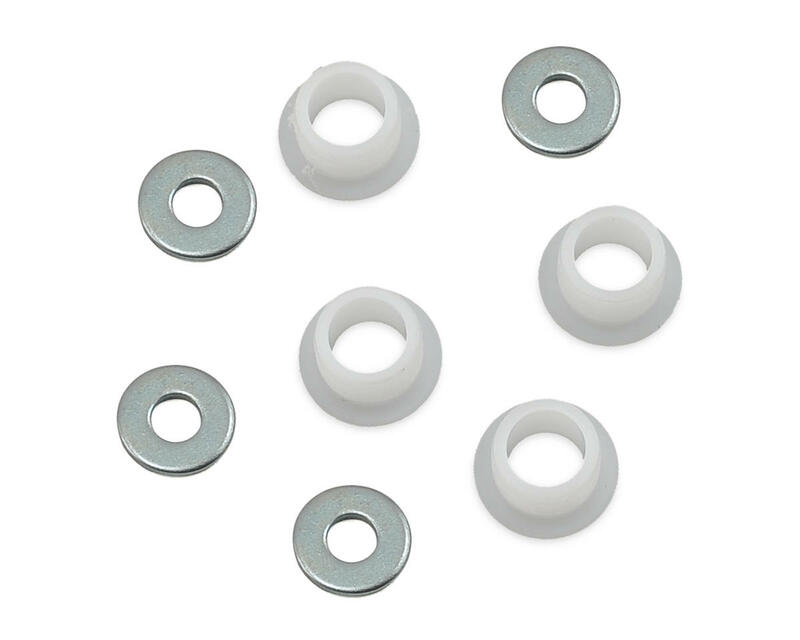 NOTE: Bushings are designed and manufactured to the spec's of new shock caps. The fit will not be as tight if installed in used shock caps.